Health care industry's new super hero! 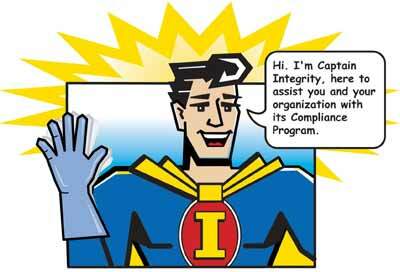 Click here to view your HCCA Conference photos with Captain Integrity! With Captain Integrity on your team, employees and physicians will receive necessary education that is lighthearted and fun! Yes, with Captain Integrity, your compliance education will be fun! 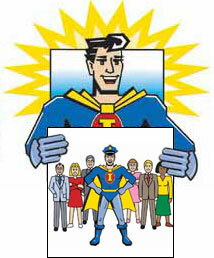 Captain Integrity can provide education through use of his likeness on education materials from your organization, and monthly picture strips. Read on for more information on these exciting Captain Integrity products!